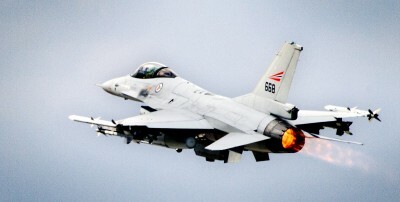 Norway’s defense ministry needs to renew the country’s fleet of F16 fighter jets, but plans to spend tens of billions on new fighter jets from Lockheed Martin continue to spark political concern. Now three parties from throughout the political spectrum are raising new questions about the program, claiming a final commitment by Parliament hasn’t been made. The conservative Progress Party (Fremskrittspartiet, Frp) on Norway’s far right, the Christian Democrats (Kristelig Folkeparti, Krf) in the center and the Socialist Left party (SV), which also is a government coalition partner, all are demanding a detailed accounting of the costs involved in the long-planned fighter jet project. SV maintains that the Parliament has not granted final approval to actually buy the jets, initially known as Joint Strike Fighter but now called F-35 Lightning II. Bård Vegar Solhjell, a former government minister who now serves as SV’s leader in Parliament, told newspaper VG that it’s important to have a critical review of the project. Members of Parliament are due to make a final decision in May on whether to go ahead with what will be the largest public expenditure in Norwegian history. At stake initially is the purchase of four training jets at a cost of NOK 4.5 billion plus NOK 1 billion for missile production involving local defense contractor Kongsberg Defense Systems. The Progress Party (Frp) is generally at odds with SV, not least on defense issues, but its officials also are calling for a thorough review of the fighter jet program, which ultimately calls for 52 jets expected to cost a total of NOK 42 billion.